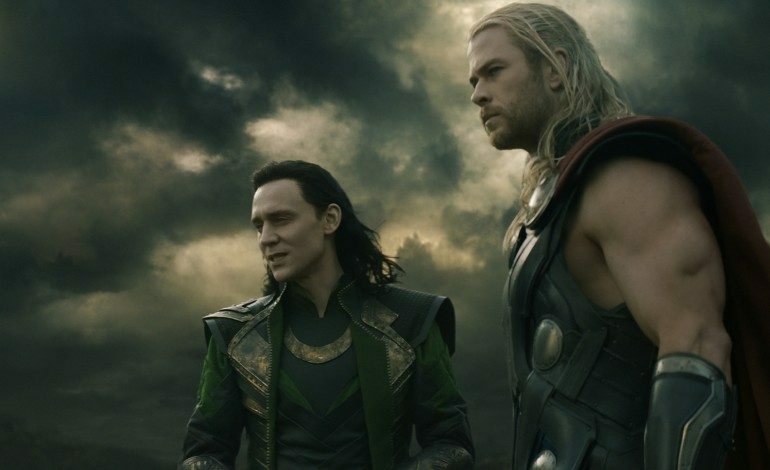 Thor: Ragnarok remains the one true mystery among the super-hero films to be released in 2017. Although the cast have provided slight clues to the plot on social media, the film has yet to release an official trailer. Apart from the assurance that Chris Hemsworth (Thor), Tom Hiddleston (Loki), and Idris Elba (Heimdall) will be returning, not much about the film has been revealed yet. 1. Hulk will fight Thor in a cosmic gladiator ring. A new synopsis released this week confirms what has been long expected: Hulk and Thor will indeed have a rematch. Many fans have expected that the ‘Planet Hulk’ comic book storyline would come into play, in which features the Hulk marooned on a distant planet and forced to fight as a gladiator. This newest press release seems to confirm that Mark Ruffalo’s part in the film will be a significant one. 2. Cate Blanchett will play ‘Hela’ in the film. Blanchett will play Norse god ‘Hela’, the Asgardian goddess of death, who is expected to be the antagonist of the film. Hela has abilities to kill someone by merely touching them, as well as resurrecting souls from the dead. In Norse mythology, Hela is Loki’s daughter (but in a different incarnation than Tom Hiddleston’s version). It is rumored that Blanchett accepted a role in this movie to please her children, who are huge Marvel comics fans. It is said that one of Blanchett’s sons, Ignatius Martin Upton, also will appear in a cameo role. I mean, she plays the worst of the worst. So evil… It’s such a great part she gets to play. 3. Natalie Portman will not reprise her role of ‘Jane Foster’ in the film. As far as I know, I’m done… I mean, I don’t know if maybe one day they’ll ask for an Avengers 7, or whatever, I have no idea. But as far as I know, I’m done. But [Thor] was a great thing to be a part of. 4. Jeff Goldblum will portray ‘Grandmaster’ in the film. He’s a hedonist, a pleasure-seeker. He’s an enjoyer of life and tastes and smells… I’m working on my part every day. I’m a sponge, researching. [Taika Waititi] is encouraging me to improvise and make it my own, and that’s what I’m trying to do. Being that the comic book character ‘Grandmaster’ is an ancient being who is known for manipulating many heroes in the Marvel comic book world, don’t be surprised if this is only the first of Goldblum’s appearance’s in the Marvel Universe. 5. Tessa Thompson will star as ‘Valkerie’. In the comics, Valkyrie is among the Asgardians, possessing superhuman powers, and the strongest of all Valkyrioras. She was selected by Odin, King of the Gods of the realm of Asgard, to lead the Valkerior (aka The Choosers of the Slain), a group of warrior goddesses who choose which of the fallen were worthy to be taken to Valhalla, the land of the honored dead. With this responsibility she also has the ability to perceive the approach of death, in the form of a “deathglow” surrounding a person’s body. Right from the start we wanted to diversify the cast, and it’s hard when you’re working with Vikings… Just because the character was blonde and white in the comic book. That doesn’t matter. That’s not what [that character] is about… I think the story is king, and you want the best person for the job. And Tessa tested against — we cast a very broad net, and Tess was the best person. 6. Karl Urban will be Thor’s enemy ‘Skurge’/’The Executioner’. Urban will portray Marvel character ‘The Executioner’, an Asgardian with a magic double-bladed axe. In the original comics, Skurge often works under ‘The Enchantress’, but it doesn’t seem that ‘The Enchantress’ will be featured in this film. In some of the original comic books, along with common Asgardian qualities, Skurge also possessed a ‘super-human falcon-hunting vision’ ability. It is not yet clear whether Urban will indeed be an enemy of Thor, by siding with Loki, or prove to be an ally to Thor. We will just have to wait and see. 7. This is rumored to be the last ‘Thor’ film. Sad, but very possible. In Norse mythology, ‘Ragnarok’ is translated as “twilight of the gods”. The myth tells of the destruction of the universe and mankind, as well as the deaths of many of the Norse gods. Following this, a new generation of gods take the place of the old gods as the cycle of the world begins again. What we can expect (if this is indeed the last Thor film) is that the film will be an epic finale that audiences will be sure to remember. Stay tuned throughout the year for more updates as we learn more about Thor: Ragnarok. The film will have its US release later this year on November 3rd.